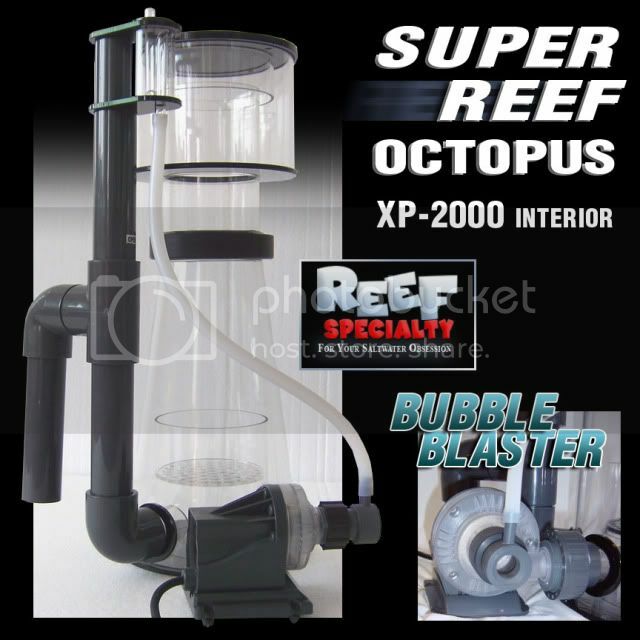 The first Reef Octopus that uses the Bubble Master 2,000 pump is now ready for pre-order. The Super Reef Octopus skimmer will utilize the cone shape design and have a small footprint. The air draw is 50 SCFH or 1,428 LPH and uses 30 watts! CoralVue will be making a larger cone that useS the Bubble Master 5,000 pump. More information can be found by visiting Reef Specialty. Now for the better shots!